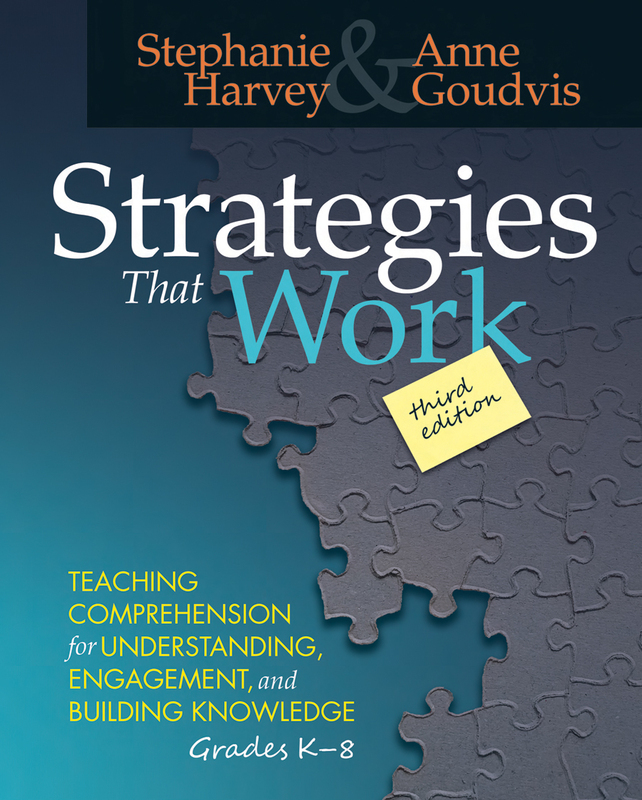 In this new edition of their groundbreaking book Strategies That Work, Stephanie Harvey and Anne Goudvis share the work and thinking they’ve done since the second edition came out a decade ago and offer new perspectives on how to explicitly teach thinking strategies so that students become engaged, thoughtful, independent readers. Part I provides readers with a solid introduction to reading comprehension instruction, including the principles that guide practice, suggestions for text selection, and a review of recent research that underlies comprehension instruction. 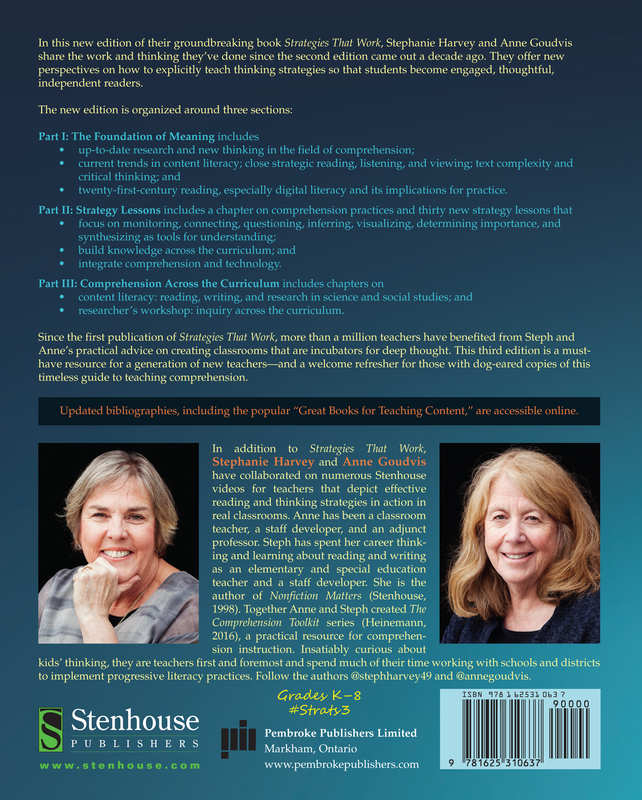 Since the first publication of Strategies That Work, over a million teachers have benefited from Steph and Anne’s practical advice on creating classrooms that are incubators for deep thought. This third edition is a must-have resource for a generation of new teachers—and a welcome refresher for those with dog-eared copies of this timeless guide to teaching comprehension. Learn more about the Strategies That Work Classroom Library Collections. Stephanie Harvey is a regular presenter and keynote speaker at conferences. She speaks on reading comprehension; active literacy; nonfiction reading; writing and research; inquiry-based learning; reading and writing workshop; and the role of passion, wonder, and engagement in teaching and learning. Anne Goudvis has been a classroom teacher, staff developer, and adjunct professor of reading and social studies. For the past ten years, she has worked at the Denver-based Public Education and Business Coalition as a staff developer and co-director of the Library Power project, a national initiative to improve teaching and learning in libraries and classrooms.